Learn the foundations of yoga with Tara Hordern. Next course commences 7th May. Enjoy a crystal bowl sound healing with the singing bowls, Thursday 18th April, 7.30-8.30pm. Free information seminar for Level 1 & Level 2 Teacher Training. Learn more. 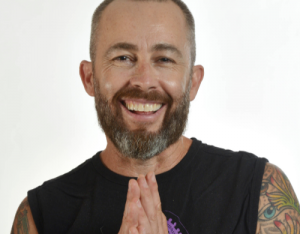 Join Mathew Bergan for a delightful 2 day bush yoga retreat at the brand new Vanam Retreat centre, in the quiet of the Blue Mountains 2nd – 4th August. 200 Hour Yoga Teacher Training commencing 10th August. 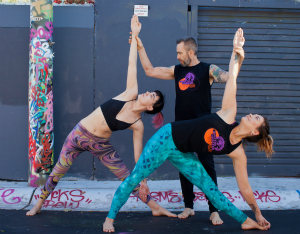 We are a boutique yoga studio situated in the St Peters/Newtown area in the heart of Sydney’s Inner West. If you know the old brick works at Sydney Park, then you’ll know where to find us. 11 May Street, St Peters – 2 mins walk from St Peters train station, and King Street, Newtown. Parking: 2 hour street parking available, as well as Sydney Park (free) car park.